I really enjoyed the storytelling in this season as it is a huge improvement over the first two seasons. They've gotten rid of the cruddy Michael Bay storytelling from season one and they made the story interesting which is an improvement over the boring story from season two. Not every episode was good as there were two episodes that were very average but even being very average is a huge improvement for this show. It is a shame that this is the final season as this season leaves you with a whole bunch of teasers to what will be in store for season four and I am a bit bummed that we will not know what will happen. 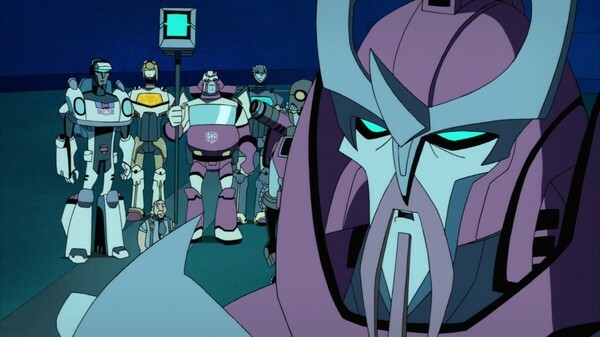 The story isn't the only thing that has improved this season as so has the action as the fight scenes were very exciting and it's mainly Autobot Vs. Decepticon and they have gotten rid of most of the rejected "Teen Titans (2003 - 2006)" villains with the exception of Headmaster. 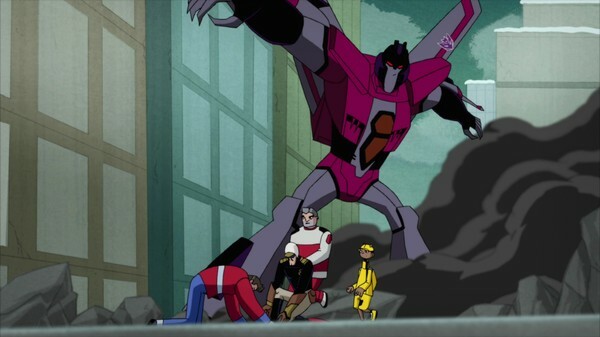 The action is also a little more brutal in this season as they introduce deaths of Transformers and it was handled well and helped keep the show interesting. They still have the Michael Bay shaky cam effect for some battle scenes but it is used much better as it is barely used making it tolerable in this season. 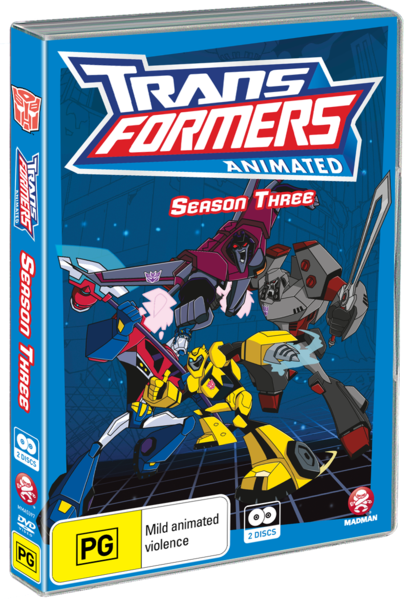 The characters in this show were good with the Autobots being very heroic without being boring and the Decepticons being chaotic while being just as entertaining. 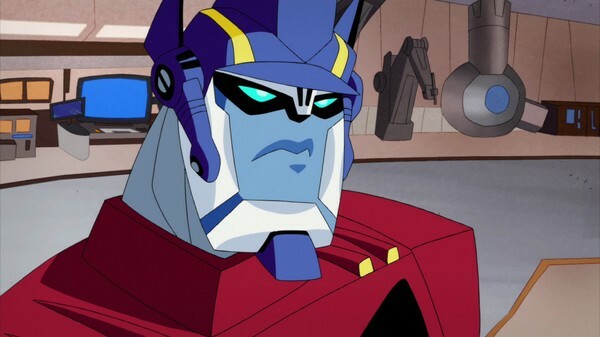 A lot more Transformers are introduced into this season and it was really great seeing them all and it was especially great seeing some of the "Beast Wars (1996 - 1997)" Transformers introduced to this season. The human characters have improved in this season to where they do not feel useless and they were also likable and this even includes Headmaster although he can still be annoying at times. The artwork in this show uses a very fake anime look and I am mixed on it as sometimes it can look good but there are some shots that look very hideous. 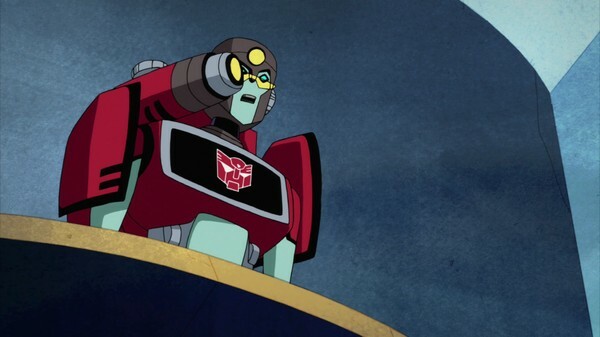 The character designs have improved to where we see more Transformers that actually look like Transformers rather than re-colored "Ben 10 (2005 - 2008)" alien transformations and villains. The designs of the human characters has improved but only for the extras as the main humans has decreased in quality and look a little bit awkward. Backgrounds in this show were decent as they have a basic look and I liked the space backgrounds the most. Animation in this show is decent for the body movement in the action scenes but the animation for the lip movement is very cheap looking as it looks like that somebody is playing with a sock-puppet. The voice acting in this show wasn't bad as the voices worked well with most of them but there were some characters that did sound a little bit weird but those characters were very minor. There is a small but neat collection of special features found in this DVD set. You get two different types of picture galleries with one that contains all of the covers to the comic book from "IDW". There were some really nice looking covers and they even include the cover to the manga series "Transformers Animated: The Cool". I did find the covers for the trades (collected editions) to be a bit bland and would work better as DVD covers for single disc volumes. The other gallery contains pictures of all the figures from the "Transformers Animated" toy-line. The photos show off the figures in both "transformer" and "vehicle" form and some photos contains the figures on multiple angles. Most of the action figures looked a lot better than what I had pictured as they had awesome paintwork, nice detailing, and they looked really fun to play with. Not all figures looked awesome as there were a few that looked really flat in terms of design. Overall this was actually a pretty solid season and it is such a shame that the show got canceled right when the show found it's feet. While I praise this season I'm also hesitating recommending it as the downside to this season is that you have to watch the first two seasons to get what is going on and I'm only saying yes because I liked this season. Solid season.